It’s just been announced that Jared Leto will be playing Morbius, the Living Vampire in Sony’s Spider-Man-less Spider-Man Villain Cinematic Universe (which is not part of the Marvel Cinematic Universe). This role will (allegedly) not affect his existing commitment to play the Joker in DC’s shared setting of films. The film, which is shaping up to be Sony’s second release in the setting after this year’s Venom, will be directed by Daniel Espinosa, written by Matt Sazama and Burk Sharpless, and produced by Avi Arad, Matt Tolmach, and Lucas Foster. The story revolves around a scientist named Michael Morbius who develops vampire-like symptoms as a side-effect for an experimental treatment for a rare blood disease. 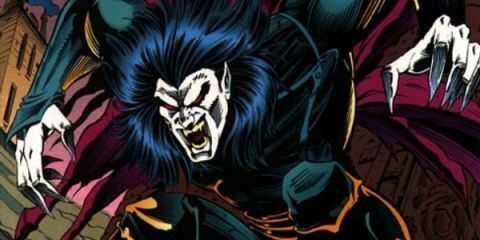 Morbius isn’t a true vampire, which means that he only has some of the powers of the supernatural creatures (such as flight, superhuman strength and speed, and accelerated healing) and only the weaknesses of an aversion of light. In addition to The Wrap‘s initial report, Variety adds that filming could begin as soon as the end of this year, while Spider-Man: Far From Home (which is set in the Marvel Cinematic Universe) wraps filming. Leto joining Sony’s series of interconnected standalone movies will not affect his existing commitment to play the Joker for DC’s movies, including the spin-off he is expected to lead. Morbius The Living Vampire does not have a release date.